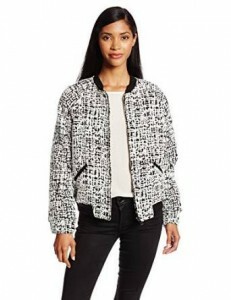 Bomber jacket is an extraordinarily chic and versatile outwear. It fully conquered the urban wardrobe, there’s no doubt about that. With good reasons, this type of casual piece of outfit has stood the difficult test of time. It’s origins are during the World War I and it was worn by the American pilots. As you have noticed already, there are many possibilities to obtain a marvelous combo. Anyway, it is for sure a casual staple for a woman’s wardrobe. Use it with great confidence and if you are creative enough, the results will be fantastic.